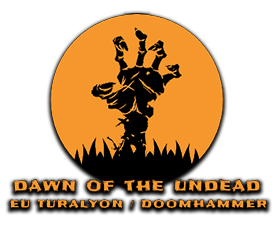 Guest 12:51:07 AM Viewing the board index of Dawn of the Undead - Turalyon EU. Guest 12:47:41 AM Viewing the topic Bye Dotu :(. Guest 12:44:38 AM Viewing the topic BWL and NI / DOTU. Guest 12:44:32 AM Viewing the topic New Chief Moo. Guest 12:44:11 AM Viewing the topic Dotu will 4 ever be in my heart. Guest 12:43:47 AM Viewing the topic Rougzanna, combat rogue, social. Guest 12:43:45 AM Viewing the topic Lunki + Peksu - Social [Accepted]. Guest 12:43:27 AM Viewing the topic Mage (Social) [Accepted]. Guest 12:42:37 AM Viewing the topic i'm hot!. Guest 12:41:59 AM Viewing a list of recent topics. dofri 12:41:58 AM Viewing the board index of Dawn of the Undead - Turalyon EU. Guest 12:40:26 AM Viewing the topic To all the Squirrels who looked at us funny. Guest 12:39:59 AM Viewing the topic drawing. Guest 12:38:35 AM Viewing the topic Obliviate, 80 Paladin . Guest 12:37:45 AM Viewing the topic Tier 6 sets (will NOT spoil TBC for you).